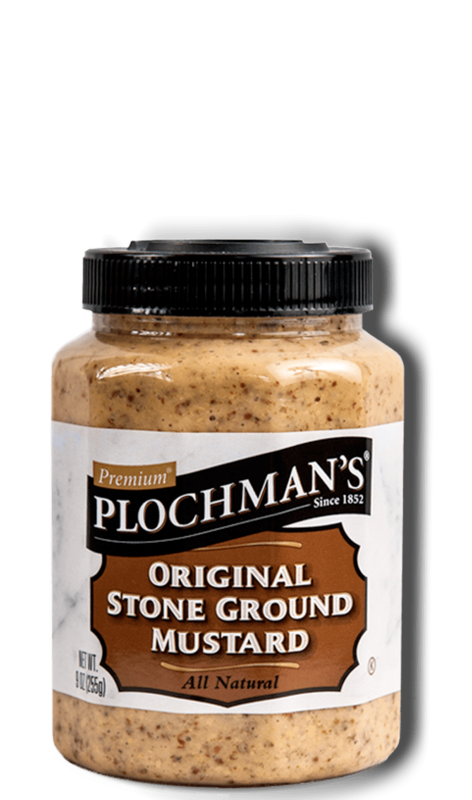 Plochman's Sweet & Spicy Glazed Chicken contains pieces of chicken, Natural Stone Ground Mustard, and light brown sugar. Place chicken in a shallow, oven-safe dish. Mix mustard and sugar together until smooth to make the Sweet & Spicy Stone Ground Mustard Glaze. Pour half of glaze over chicken. Bake uncovered for 10 minutes. Turn chicken over and cover with remaining half of glaze. Cook for an additional 10 minutes, or until chicken is cooked through. Try It Another Way Let chicken marinate in glaze for 1–2 hours. Then, grill chicken in foil packets until cooked through, about 10–12 minutes.